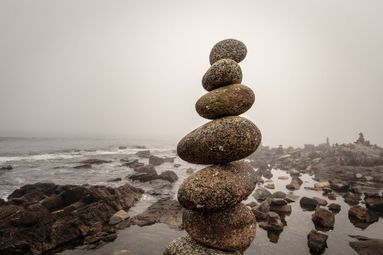 Rock Cairns are man made piles of stones that are used as guides to help outdoor adventurers find their way on their chosen trails and paths in areas where it is otherwise easy to become lost. We think this is a great symbol for counseling as well. It's your path and your journey, but we all can use some direction and support along the way. We look forward to meeting you and designing a plan to help you on the path that you have chosen. Our therapeutic philosophy is client centered and rooted in evidence-based techniques and research. We incorporate these evidence-based interventions into our interactions with clients and are excited to apply our knowledge to your unique situations in order to help you see effective results.